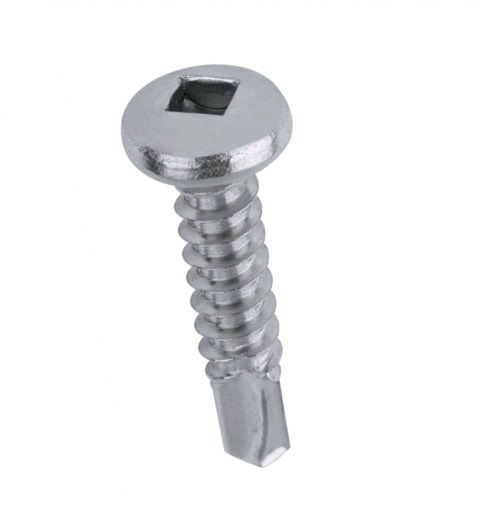 Square Drive Pan Head Screws - Steel to Steel are a light duty self drilling screws for smaller steel sections. No pre-drilling is necessary as the screws tap their own thread, with the drill point removing excess material. Available in sizes 4.2 x 13mm up to 4.2 x 25mm. Sizes 4.2 x 13mm up to 4.2 x 25mm.